Situated on the southeast coast of the Sinai Peninsula in Egypt, Dahab is located around 53 miles north of Sharm El Sheikh. Formerly a Bedouin fishing village, Dahab presently is one of the most popular diving destinations of Sinai. Inexpensive accommodation near the beach, a tranquil atmosphere, excellent food and drinks at the most budgeted rates, breathtaking views and fun activities at Red Sea makes Dahab a perfect place for a long vacation. Divided into two distinct parts, Dahab has the former Bedouin village of Assalah lying on a kilometer-long beach filled with cheap accommodations for the travelers on the north side. On the South side lays Laguna or Dahab City/Medina with the popular resort hotels. Dahab is served by the Sharm El Sheikh airport which receives many tourists from all over the world. The perfect way through which the travelers can explore the true colors of the city and visit all the popular destinations is by renting a car. Masbat and Mashraba are the two modern parts of Dahab where the travelers can find beautiful palm trees, amazing restaurants, bars, hotels, shops, camps and thrilling nightlife. There are many fun activities that the travelers can enjoy at Dahab like climbing, desert safaris, Bedouin safari Dahab, Wind surfing, Kite surfing, kayaking and quad-bikes trip. Diving is the most popular activity in Dahab and the famous diving sites are Abu Helal, Blue Hole, Eel Garden, Three Pools, The Bells, Coral Garden and Canyon. 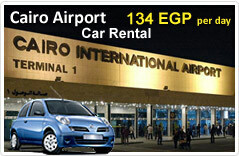 Egypt Cars Rental is one of the renowned car hiring companies operating numerous rental locations throughout Egypt. The travelers in Dahab for business purpose or for a vacation can have a memorable and wonderful trip by renting a car with Egypt Cars Rental. Egypt Cars Rental offers a great range of vehicles which suits the budget and requirements of all the travelers. The travelers can pre-book the cars with Egypt Cars Rental on phone or online and pick the cars from the chosen rental location.